Our estate agents in Northfield cover the local housing market as well as properties in all surrounding districts. Love Your Postcode can accurately value your home and market it both online and offline to generate rapid interest in an exceptionally short period of time. We know that when it comes to buying, selling and letting properties, it is important to find a local estate agent who has extensive knowledge, understands the area and can find you the best homes for the best prices. The local estate agents at Love Your Postcode are waiting to talk to property owners, particularly investors with larger portfolios. The branch offers maximum exposure, through traditional offline and modern online approaches. We are selling nationwide, and want to add further properties to our ever-growing list. We have a variety of different property and houses for sale, please check our properties for sale page.  Love Your Postcode’s property experts believe that our clients should be entitled to simple, transparent and hassle-free service. We exceed expectations at every level. Northfield is perfect for families; with a skate park, the shopping centre with top high street names as well as a pool and fitness centre. Make Love Your Postcode your trusted estate agency for the area and enjoy a wealth of benefits that only come from using a reputable and respected company. The area benefits from a wide range of restaurants and pubs to be enjoyed. Furthermore, there is an annual carnival hosted every first Saturday of July.